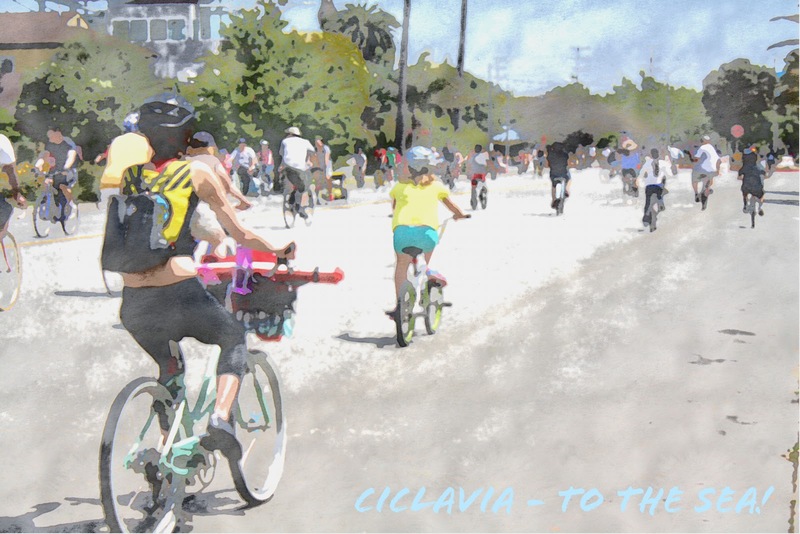 ciclavia - to the sea! 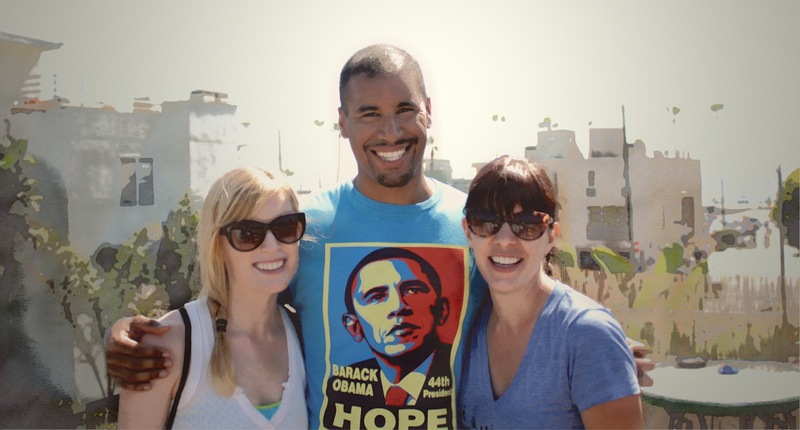 life in los angeles is quick...time has found a way of blurring days and weeks together, so that the moments spent on-set...these amazingly spectacular, and always changing moments, must be dumped from memory to make room for the next flood of daily content. i can't tell you the most exciting moment, or the coolest person i've had standing in front of my lense, but i can speak on the truth that i love my work, and that this is just the beginning for me and my career in photography. with my first post in all these months, ciclavia is an event that is well worth the wait, although the break in posts does not come from a lack of subject matter. the paragraph above explains it best; simply a lack of time! ciclavia is an event put on throughout the streets of los angeles, with the first few originating just outside my window in beautiful downtown. streets are closed to cars, and although the lanes are kindly dominated by bicycles, I, in my most perfect germy fashion, have taken to the streets with my longboard for an out-of-this-world sidewalk surfing experience. sunday, april 21 2013 the route for ciclavia - to the sea! stretched the length of the city! 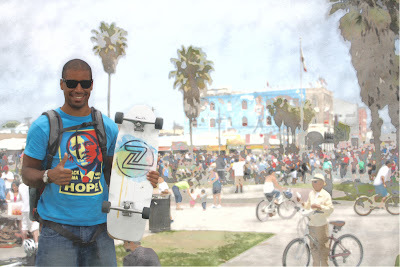 connecting my two favorite areas of this town via venice boulevard, i set out on my mission to longboard the entire 15 mile route from downtown to venice beach! 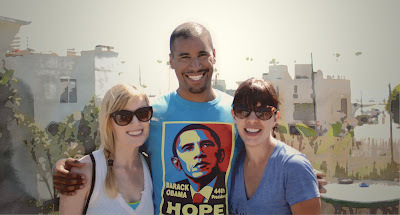 blocks from la brea to fairfax! making my way from the routes downtown start / finish line, I was nervous as I approached my first hill and found myself already breathing hard, with beads, no rivers, of sweat pouring down my face...with only a mile under my belt I felt the split-second doubts that I may not make the full 15 miles...I had spent the previous three or four weekends longboarding the boardwalk from venice to santa monica, a 2 mile stretch that I can cruise with ease...and when the full scope of skating across the city of los angeles hit me as I made my way up that hill, I took those doubts and tossed them aside as the rewarding thrill of peaking the hill and surfing down the backside on smooth, open asphalt dominated my senses. 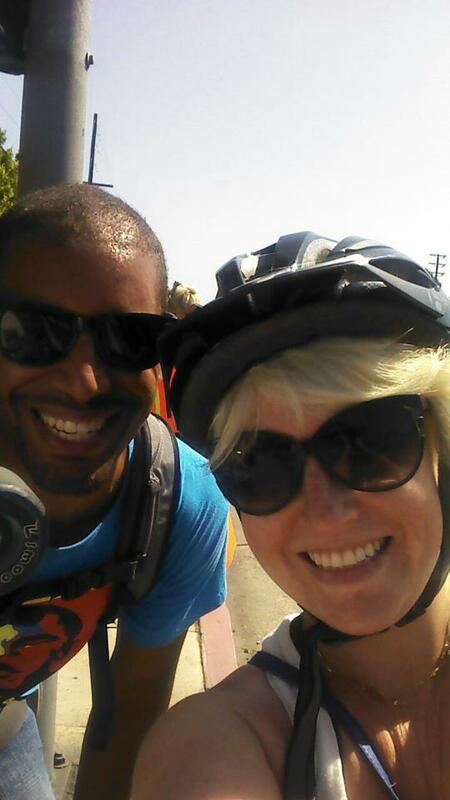 laci made it from downtown on her bike, we met up in venice! 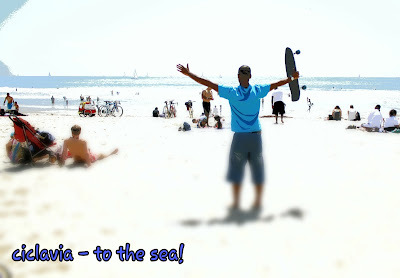 me and my trusty board, we made it! 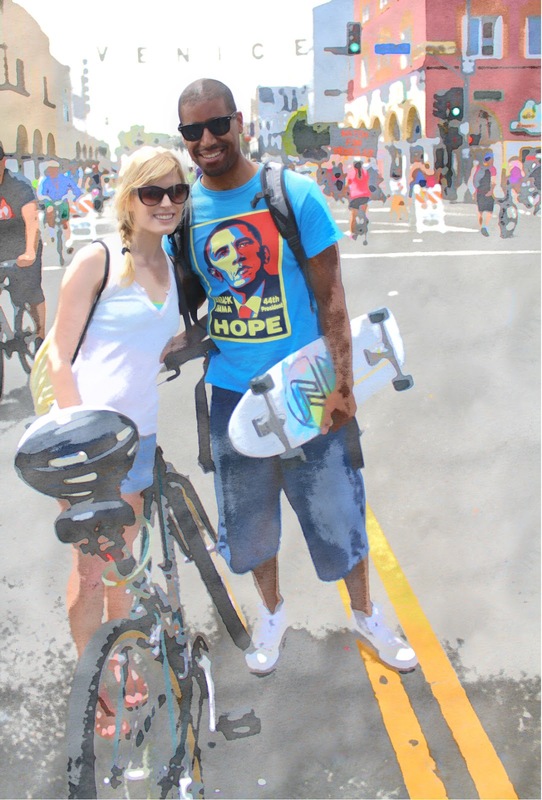 the next ciclavia is down 'Iconic Wilshire Boulevard' june 23, 2013 from 10am - 3pm. you can be damn sure that you will catch me surfing the paved route, board beneath me, and the streets of los angeles welcoming the simplicity of human powered vehicles and smiles. Labels: california, california girls, ciclavia - to the sea, Downtown LA, longboard, pf flyers, summer, wilshire blvd.